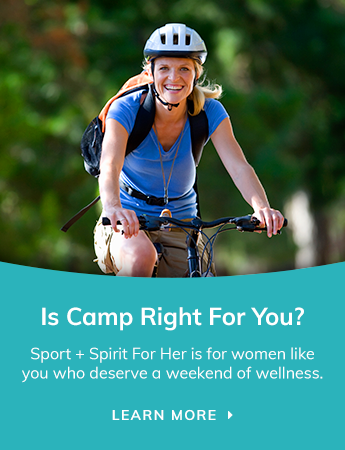 Ladies, we are so excited to let you know about two big announcements at Sport + Spirit Retreats. The 2018 memories... they're magical! If you participated in our inaugural wellness retreat last year, you will know and cherish all the wonderful experiences and memories shared with other outstanding women. The weekend was captured by incredible weather, fun 'sporty' and 'spirit' activities that challenged the body and soul, relaxing 'me' time down by the waterfront and the pure enjoyment in successfully trying new endeavours. So ladies, are you ready for 2019? We have continued to re-create all the fun and freedom of summer camp into two unique condensed weekends but with much, much, more…suited to meet the needs of women. The Sport + Spirit Wellness Retreat is the perfect weekend getaway for ladies (25+) who are interested in stepping outside their comfort zone and exploring new outlooks on health and wellness. We have been working hard to put together a new lineup of unique and exciting 'SPORT' and 'SPIRIT' activity options. Check out all that the Wellness Retreat has to offer including DETAILS (RATES) + SCHEDULE. This weekend will be sure to get you ready for your next hockey season. 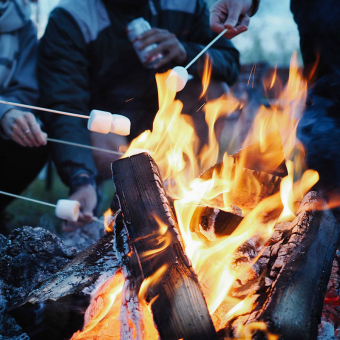 Enjoy this hockey training inspired weekend away amongst the lake, the crisp northern air and natural wooded surroundings of camp. It's the perfect combination of on-ice hockey programming and fun camp activities. Retreat is open to ladies (30+) who currently played some level of hockey in an organized 5 on 5 team/league. Check out all that the Hockey Retreat has to offer including DETAILS (RATES), SCHEDULE + ACTIVITIES. NOTE: Early registration to the Wellness Retreat will be available to all 2018 retreat participants from Wednesday, February 6th @ 11:00 am - Monday, February 11 @ 11:00 am via online Campsite database portal.